We dashed down the stairs, two steps at a time. We swung around he corner to see our aunt Cass crying. What happened?! Tadashi kneeled down next to her, checking her out; "Are you okay?" "T-The kids! Their g-gone!" She clutched her chest, leaning agents Tadashi; "I&apos;ve failed as a... Grand aunt... Or... I failed! I&apos;ve failed to protect your little children and now their both dead and I&apos;m in the debts of dispar!" She rested her wrist agents her forehead dramatically; "Hiro dear, get me a donut." I did as she said, and commence the stress eating. Tadashi hugged her, Nd I joined in; "It&apos;s not your fault, but the kids..." My voice cracked and tears began to fill my eyes. Tadashi noticed and continued; "They where kidnapped, and we&apos;re going to do everything we can to find them." She gasped, stuffing the entire donut into her mouth; "No!" Her voice was muffled. I shook my head, standing up again. I looked out the café window, my cheeks staining with tears. I glanced over at my husband, falling to my knees and wrapping my arms around him. He hugged me back, shushing me and telling me everything would be okay. I had all these terrible thoughts in my head, filling me with worry. What if we never see them again? I sniffled, the crying has triggered the runny nose. I whipped away all the liquids flowing from my face, feeling overwhelmed with worry. "Everything will be okay." Tadashi told me quietly. I nodded, snuggling into his chest as we all sat together behind the café counter, reassuring each other. 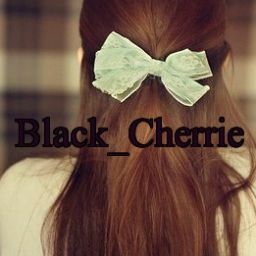 A/N sorry for the short chapters, it&apos;s all I can manage here. At least it&apos;s something, right? Don&apos;t forget to comment and vote!